Winnebago and Lichtsinn RV just announced brand new entries into the class C market, the Winnebago Vita™ and Porto™ built on the fuel efficient Mercedes-Benz® diesel Sprinter® chassis. 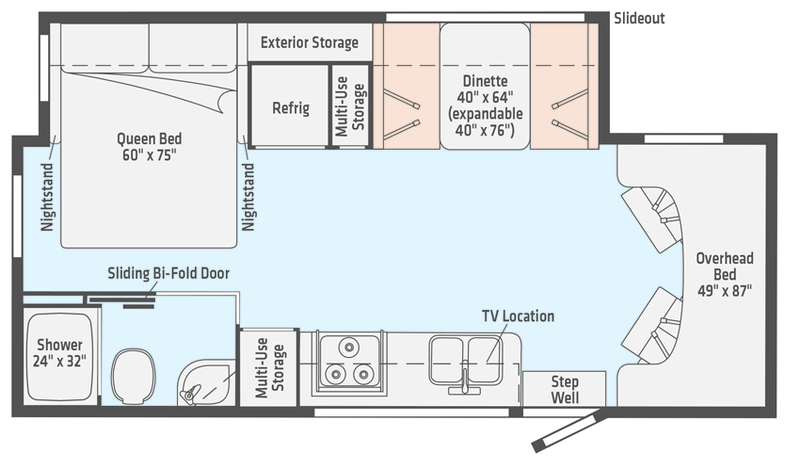 The Winnebago Vita™ and Porto™ combine Winnebago’s legendary build quality with best-in-class features, a spacious interior and plenty of useful storage: the result is a compact and easy-driving package that’s perfect for solo travelers, couples or young families. 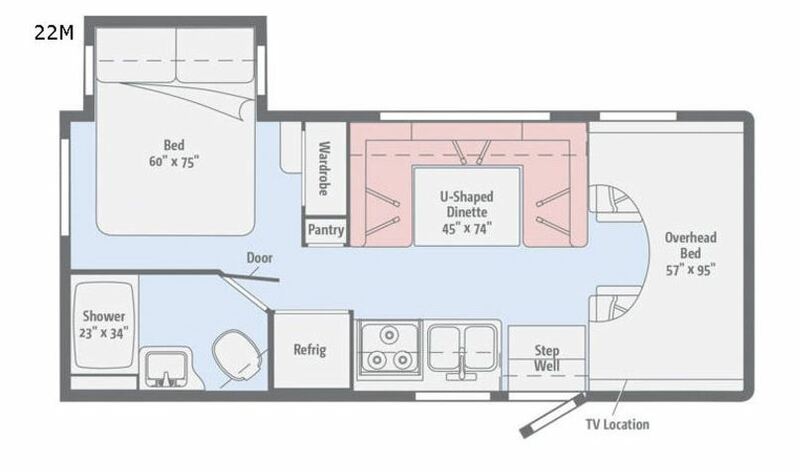 Designed specifically for the Mercedes-Benz® Sprinter® chassis, the Vita™ and Porto’s™ two all-new floorplans boast the largest galley, the largest bed — even the largest holding tanks in the class. 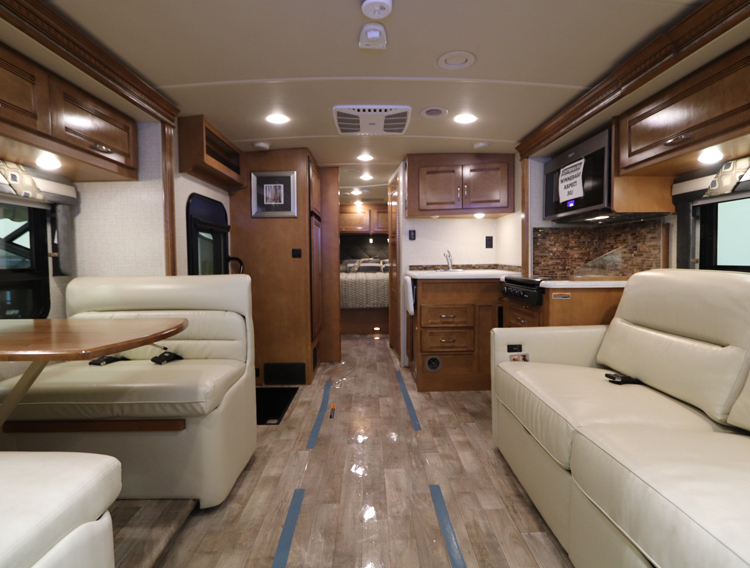 At only 24’7″ in length, the Winnebago Vita™ and Porto™ are easy to drive and care for, nimble, and comes with Winnebago Industries Durability and Safety Standards. 1) The SuperShell™ Sleeper Deck; the strong, lightweight and quiet front sleeper, featuring a one-piece fiberglass front cap that is contoured to fit the cab and features best-in-class thermal & acoustic insulation for superior driving and camping comfort. This structure is made of a 2 part mold-injected EPS foam. It does not have seams so requires no sealant and therefore provides a warm surface with no condensation issues set in a fiberglass inset well insulated cab area. 2) Zamp Powered 200-watt solar energy system, expandable roof top or via portable power connections. 3) Group 31 Batteries, the largest batteries ever put in a Sprinter Class C, providing 210 amp hours of power. 4) In cabinet WiFi, Cellular and Satellite conduit to the roof so you may easily add the connectivity enhancements of your choice to a sealed rooftop box. Simply drill out the identified hole (or have us do it for you) and connectivity enhancements are ready for rooftop mount. 5) A Manifold Water System, reducing the number of water connections. Each tap has its own water line without any connections. Fewer connections makes servicing easier and a simple winterization process. 6) Expansive 43 gallon fresh water capacity, with 41 gallon, each, black and gray tanks. 7) Over 40′ of exterior lighted storage. 9) 7.3 cubic foot residential refrigerator and freezer that runs off the standard 1,000-watt pure sine wave inverter complete. 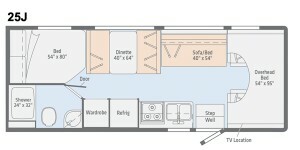 10) High Density foam dinette cushions that when converted into sleeping area can allow for an additional 6’4″ sleeping area, or location may be used for additional storage. 11) Higher occupant and cargo carry capacity that previous models, approximating 1,600 lb. The all new Winnebago Vita™ and Porto™ allow you a convenient way to travel with impressive fuel efficiency. Whether you want to travel the country, go off the grid, or simply park in a family member’s driveway, it’s clear the Vita™ and Porto™ are more than best in class — they are simply in a class all their own. 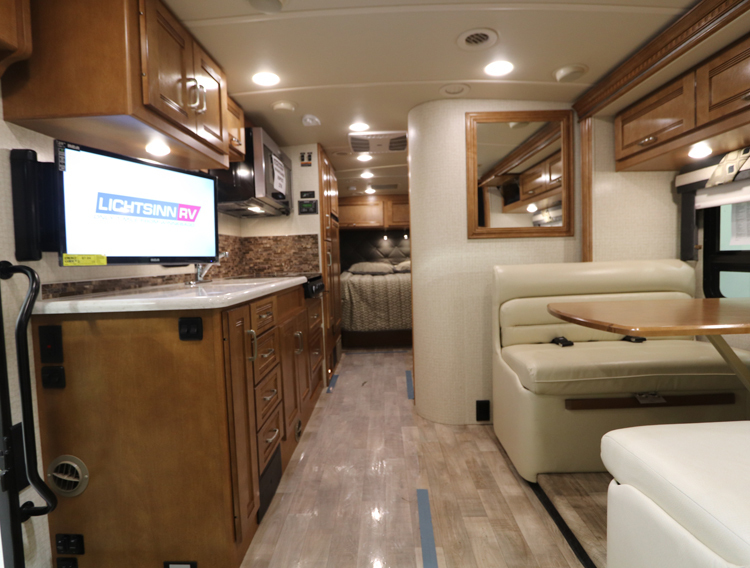 Call Lichtsinn RV today to find out more about the all new Winnebago Vita™ and Porto™. 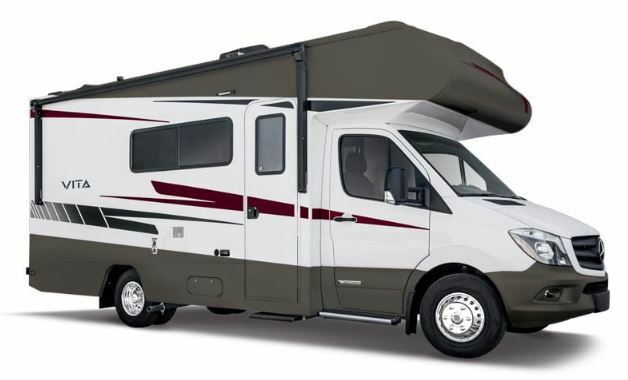 The all new Winnebago Outlook is a reimagined Class C motorhome that gives you the lifestyle you have been longing for at a price that meets your budget. From the moment you step inside, you’ll realize the Outlook is different. 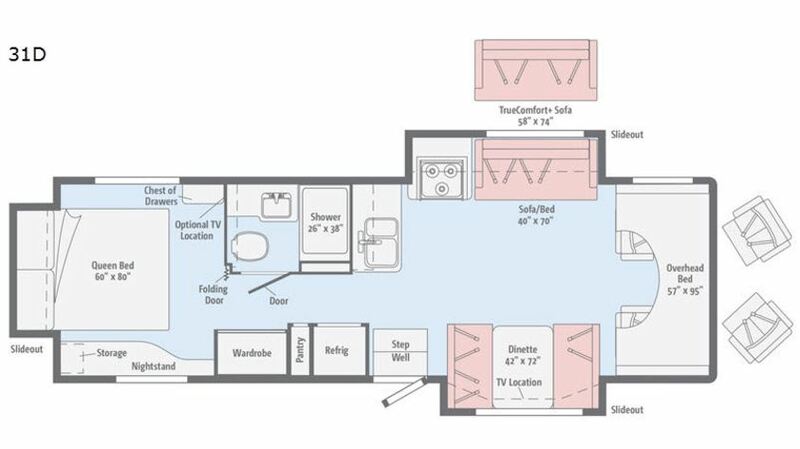 Complete with an abundance of storage space and an attractive dining and lounge area, the Outlook is available in fresh new floorplans. 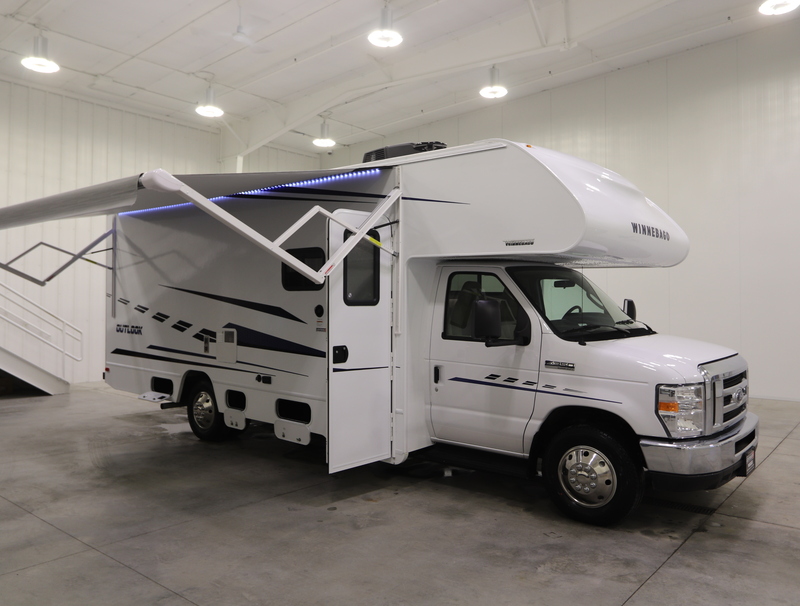 The destination is up to you… after all, you’re the proud owner of the all new Winnebago Outlook. See our entire Outlook inventory here.